Ideally located above the World Heritage site – the famous Rideau Canal in Ottawa’s Golden Triangle Neighbourhood. Looking to retire now or soon or just wanting to plan for it, here’s a unique opportunity to make your future home at a very well known address – 20 The Driveway. Now you’ll be able to walk across the canal on the footbridge to the new Light Rail Station. This lovely and spacious two bedroom with two full baths is the second largest unit in the building and offers great views towards the canal and overlooking the Golden Triangle. Huge Living room dining area, very large 22′ balcony, beautifully updated throughout, elegant hardwood floors, new smooth ceilings (stipple removed), pot lighting, California Shutters, baths and kitchen, professionally painted – all making for a perfect spot to park yourself and enjoy the best location in Ottawa. Click here to view the Photo Gallery or press play on the Youtube Video further down this page. 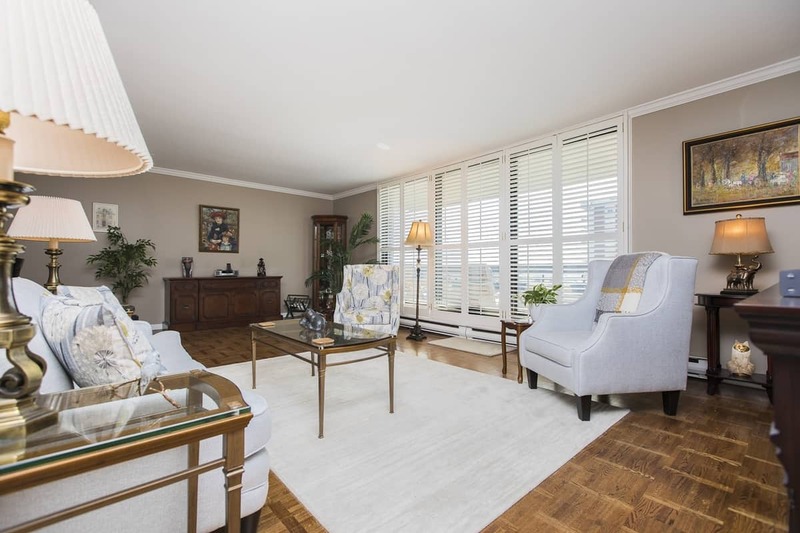 Condo fee includes your heat, central air and hydro, as well as great amenities including indoor pool – patio/bbq area, guest suite, party room, billiards etc etc. You’re just across the street from the canal and a short walk to everything downtown: Parliament, the Famous Byward Market, Elgin Shops and restaurants, across the foot bridge from Ottawa University, and the Conference Centre and the Rideau Centre – soon steps from Light Rail. (Just across the walking bridge) You’ll be hard pressed to find a location as nice as this. Call Eric Manherz today at 613-601-6404 for your private showing! Click on the attachment below for more property details such as taxes and condo fees. Note Condo fees include heat and hydro. Click on the Attachment below to view the Property Details. Also Walkscore.com lists this address as a Walker’s Paradise – and it truly is!!! Thank you for everything – especially your friendship – along the way. You have been wonderful.